LAS VEGAS — A topsy-turvy World Financial Group Continental Cup took another twist on Friday night at Orleans Arena. 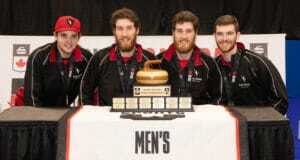 Team North America, which suffered five defeats in the six singles contests on Friday afternoon, bounced back with two victories in team play on Friday night, and earned a tie in the other game, as all three games were decided on skips’ rocks in the eighth and final end. 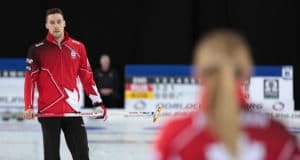 By claiming 2.5 of the three available points, Team North America takes an 11-10 lead into play Saturday in curling’s version of the Ryder Cup. A total of 60 points are available, meaning the first team to 30.5 points will win the WFG Continental Cup. 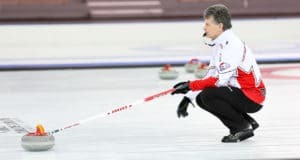 Team North America skip Jeff Stoughton (Winnipeg) made the shot of the evening, bringing the crowd of nearly 5,000 to its feet with a stunning in-off through a narrow port to score one in the sixth end against Team World’s David Murdoch (Scotland). Stoughton carried the momentum into the eighth end, scoring a game-winning deuce for a 5-4 triumph. 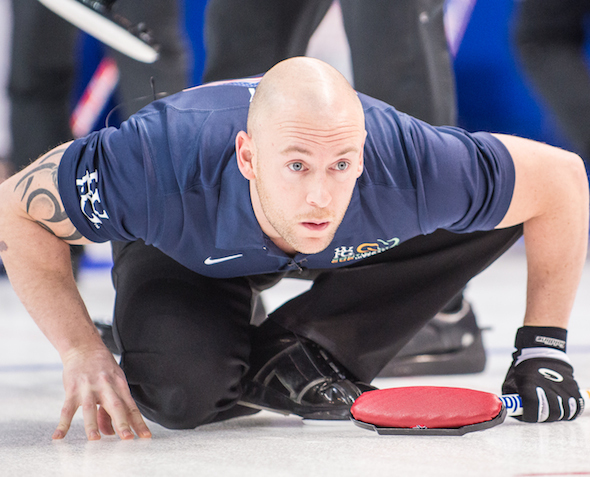 In other men’s action, Team North America’s Brad Jacobs (Sault Ste. Marie, Ont.) 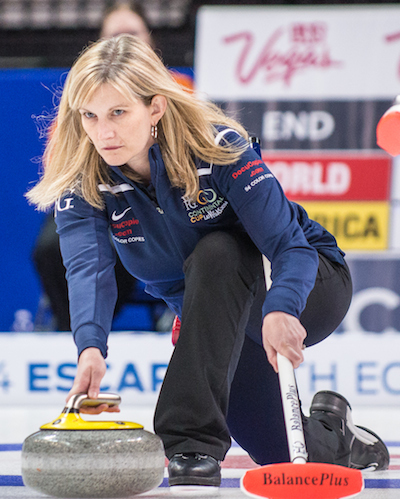 also scored two in the eighth end to pull out a 4-3 win over Team World’s Thomas Ulsrud (Norway). A beautiful freeze by Jacobs’ vice-skip Ryan Fry set the table, and Jacobs didn’t need to throw his final rock. “It was incredible tonight – there was a couple of loud cheers, especially when Stoughton made that shot; we look over and we had to stop our game – it was like being at the Brier or the Trials or something,” said Jacobs. “It was a really cool atmosphere and everyone played pretty good tonight. I know on our sheet it was really tight, which was awesome. In women’s play, a big steal of one in the sixth end by Team North America’s Erika Brown (Oakville, Ont./Madison, Wisc.) made the difference in a 3-3 tie with Team World’s Eve Muirhead (Scotland). Muirhead had a shot at two for the win, but couldn’t make the angle raise and settled for the game-tying single.